This is the post that you’ll want to bookmark and come actually come back to for future reference. Here I name my favorite online and offline resources for newbie photographers. These are resources that I rely on and make use of, in some cases, on a daily basis. The Digital Photography Boxed Set, Parts 1, 2, 3, and 4 by Scott Kelby. Volumes 1 , 2 , 3 , and 4 are considered standard reads by most photographers. I like these books because the author, Scott Kelby, is funny, relatable, and a great teacher. In these books, Scott’s not heavy on the technical side of photography (which is good for newbies), but he is big on providing you with all you need to know to take great shots. 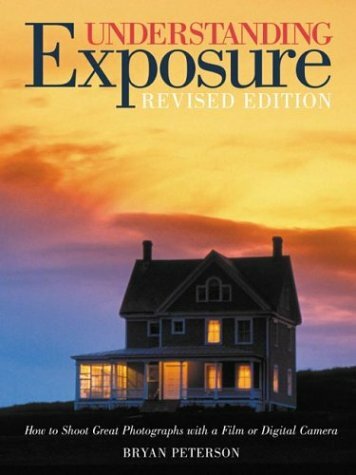 Understanding Exposure: How to Shoot Great Photographs with a Film or Digital Camera (Updated Edition) by Bryan Peterson. Most general, beginner photography books these days offer information that could be applied to any type of camera, but the information usually slants one way or the other. Or, for instance, a book that leans towards point-and-shoot users will not talk much about the Manual settings of a DSLR. This book doesn’t do that. I like it for that, plus, the images are breathtaking. This book is a bit more on the technical side, but it’s still an easy read. 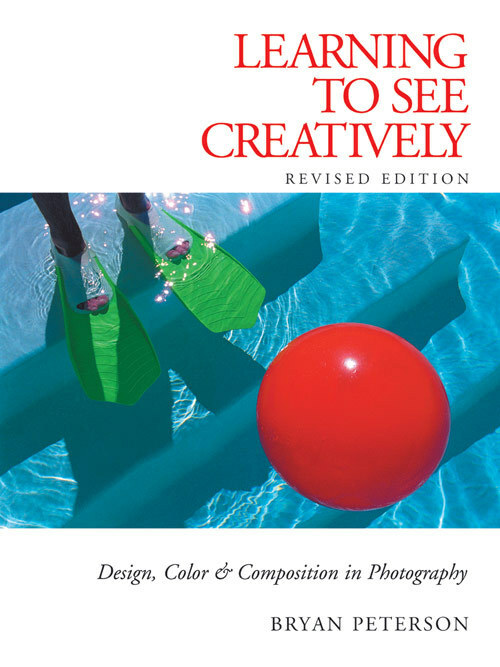 Learning to See Creatively: Design, Color & Composition in Photography (Updated Edition) by Bryan Peterson. I like this book because it offers some insight into, what I consider, a God-given gift—that is the ability to see creatively. Peterson is not strict on rules, instead he challenges readers to begin thinking about all that goes into making interesting images, or color, lines, shapes, forms, and patterns. Expressive Photography: The Shutter Sisters’ Guide to Shooting from the Heart by Tracy Clark. I was first introduced to this book via a really awesome giveaway on Veronica Armstrong’s blog. I didn’t win that giveaway, but I was inspired by her love for this book to buy it myself. Along with its beautiful images, I love this book because it’s message of the power of shooting from your heart and soul is one that is often missed in photography books. Sure, the technical stuff of a photograph is big, but, in my humble opinion, more than that is a person’s ability to shoot the visions from their heart. That’s what photography is. And that’s why I think photography, being a parent, and shooting your children all go hand in hand. There are a lot of great books out there offering tips to parents on how to take better pictures of their kids. Here are some of my favorites. 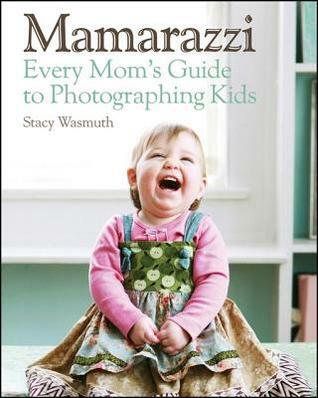 Mamarazzi: Every Mom’s Guide to Photographing Kids by Stacy Wasmuth. This is a really great book. It’s easy to read, easy to understand, and delivers. Your Baby in Pictures: The New Parents’ Guide to Photographing Your Baby’s First Year by Me Ra Koh. If there’s a book that I think any expecting mom should have before giving birth, it’s this one. I love Me Ra Koh’s story and her photo recipes for shots to take of your children in their first year of life are priceless. Priceless! If you have a new baby, get this book now!! This is a community of artists, hobbyists, and professional photographers. Along with offering really great classes through its CMUniversity, it’s the forum that’s worth its weight in gold. It’s the forum that contains hundreds of tutorials and tips and tricks and access to photographers who really want to help you. The cost of membership may seem a bit steep, but if you have interest in furthering your photography career or just being able to talk to real women who, like you, are passionate about photography, it’s so worth it. Along with taking beautiful pictures, Darcy, the blog’s author, is awesome because she offers really great photography and Photoshop tutorials that are easy to understand. She’s a mom, too, so she also talks a lot on her blog about some of the challenges and topics that are of interest to moms. Oh, and she also has a great community formed around her photo challenges. This is one of the first sites that I found on my quest to improve my photography. Here you can find informative posts, tutorials, interviews, and tips. I was introduced to iheartfaces through a lovely blog I follow called Mamahood Among Other Things. She often took part in the challenges so I became interested in this site through seeing her beautiful work. I recently found this blog and have, since, become hooked on its wonderful posts, containing great information on everything from how to shoot pretty pictures of food to composing for negative space. I have hundreds of other sites, books, and blogs I frequent, but I’ll stop here. What are some of your favorite photography resources online and offline? I wish I started this blog knowing how to take great pictures of my kids, but I didn’t. I mean, my pictures weren’t always that bad, but I was new at this so, inevitably, I made some mistakes. Okay, okay, I made a lot of mistakes. 1. Using the built-in flash. I started out with a point-and-shoot and would mostly take pictures in the apartment I was living in at the time. Low light + active baby = lots of blur and dark images. To “fix” this I would reluctantly turn on the flash, which would always create ugly shadows, shiny skin, and very dark backgrounds. 2. Not keeping my camera available. From today onward, begin telling yourself that you are a photographer. So what do photographers do? They take pictures! Keep your camera near you often to tell more interesting stories of your children’s daily lives. 3. Shooting only in Auto. Whether you have a point-and-shoot or DSLR, it is imperative that you know your camera beyond it’s auto settings. IMPERATIVE! Read the manual and practice until you get comfortable with working with your camera to take better pictures. 4. Standing too close to my subject. Learn your camera’s minimum focusing distance (check camera’s manual or go online to find this). If you get closer than that distance, your camera will have a hard time focusing and this will result in blurry pictures. 5. Not having a steady hand. I had NO idea how important it was that my hand be steady when taking pictures, especially pictures in low lighting conditions. I would always just casually whip my hands into my “picture taking” mode and start shooting. And the result of this was lots and lots of out of focus images that could have been better. To take focused pictures, your whole body matters. Anchor yourself and your camera (more on this in another post), then shoot. Or, consider using a tripod. 6. Assuming that I should get “the shot” on the first try. And this is why you should use the Continuous Mode on your camera. Shoot, assess, and shoot some more. Delete all the unwanted pictures in post-production. 7. Centering everything. The most interesting pictures, in my opinion, are those that tell a full story that includes a foreground, middle ground, and background. Centering your kids in every shot is boring and doesn’t do the most to contextualize your images. 8. Not taking advantage of natural light. From last week’s post, you know how important natural light is to your pictures! It’s key! So, when shooting, aim to find the best light or adjust your camera to make sure you have the best light for properly exposed pictures. 9. Waiting for my baby to look at the camera. Forget snapping your fingers and making silly faces, focus on capturing storytelling moments. If your baby does happen to look your way, then great! But, if not, just keep shooting! 10. Shooting at the same angle…EVERY. SINGLE. TIME. I have learned that there is so much beauty and meaning inherent in pictures with a different angle. When shooting, don’t stay at the same angel. Move above. Move below. Or, move to the side of your subject. What are some mistakes that you made when starting out with your camera? I don’t have any aspirations to become a professional photographer, but I do enjoy taking nice looking pictures of my girls. I’ve had no real formal training, but over the past two years, I’ve been doing things to become better at this. I’ve been doing things like taking lots of pictures, frequenting awesome forums, and befriending some awesome photographers. I started on this path I’m on now when my first daughter was three months old, but I didn’t really get serious until I got my DSLR, that happened in 2011. What inspired me to get better was, in part, embarrassment. I was making her birth announcements. No, not really making them, but I was ordering them through a major online company. I had the wording set and thought it wise that I just include one of the pictures I had taken of her in the first few weeks of her life. The pictures I had were taken of her lying on her changing table with a scarf wrapped around her body for “artistic” effect. Yeah. Please don’t laugh, well. Okay, go head in laugh. It is funny. A couple of hours later, I got an email from a designer at that major online company that was to print my birth announcement. In my response, I apologized and said I would upload another photo. So, I did that, and got this email back two days later. Yeah. I know. I was so embarrassed. But rather than crying in a closet about it (which I did do with the first email), I used the experience as a wake up call. I ended up using a professional picture for the birth announcement and began my journey into becoming a better photographer. In my two years at this I’ve made a lot of mistakes. But, I’ve also learned (and am still learning) a lot, too. Today, the photos that you see on my blog are a reflection of what I’ve learned. I’m not a professional, not even close! I’m still learning, but I’m happy of where I’m at and proud of where I’m going. I’m often asked questions about my photography on this blog, so I thought I’d create a series from lessons learned that I hope to share with newbie, picture taking parents or anyone else who is interested in taking better pictures of children. In this series, I plan to cover a variety of topics from some of the things I’ve learned these past two years. I should emphasize that this series is NOT for professional photographers, it’s for people like me when I was starting out. It’s for people who want to easily take great shots of children without having to learn more than they really need to in order to make that happen. **edited 3/19/2014 with updated pictures.